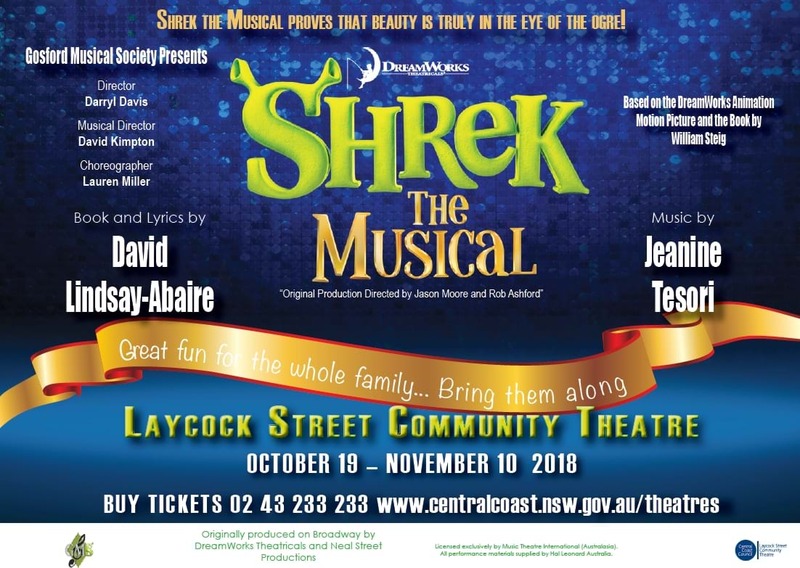 Shrek The Musical is coming to the Central Coast! October 19 - November 10! Based on the Oscar-winning animated film and Broadway smash hit, Shrek the Musical is an enchanting adventure that is a must-see musical comedy for the whole family! Join the heroic green ogre Shrek and his loyal wisecracking steed Donkey as they set off on a quest to rescue the beautiful (if slightly quirky) Princess Fiona from her tower, guarded by an imposing fire breathing dragon. Add the diminutive villainous Lord Farquaad and a cluster of 25 talented fairy-tale characters led by Pinocchio and you’ve got an irresistible mix of adventure, laughter and romance, guaranteed to delight audiences of all ages! Full of fun, Shrek the Musical proves that beauty is truly in the eye of the ogre - Plus there will be meet and greets with the cast after every 2pm show! Listen to Gawndy & Ash Pollard from 5am for your chance to win tickets! Don’t miss the opening weekend special - Buy 4 tickets for $160! Get your tickets HERE!